Terri was born Terri Ann Myers December 26, 1944 in Fillmore, Ca. 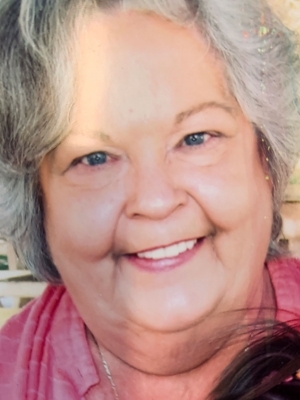 Terri passed away peacefully February 12, 2019 in Santa Paula Ca. surrounded by her family. Terri graduated from Fillmore High School and was named Miss Fillmore in 1962. She graduated from Beauty school and began her career as a Beautician in 1963. Terri married her high school sweet heart Mike Hastings in 1964 and they spent 51 years together until Mikes passing in 2015.They were lifelong residents of Fillmore, where Terri owned and operated Terri’s beauty salon for approximately 40 years. Terri was preceded in death by her parents Carl and Peggy Myers husband Mike and her daughter DeAnna. Terri is survived by her son Derrik his wife Michelle, grandchildren Charlie, Jordyn and Griffin Hastings. Joslyn Spieler and Falisha Lemmon. Brother James Myers his wife Janet, niece Melanie Hazlett, Sister in law Nancy Bowlin, nephew Chip Bowlin and many other family members and friends. No services will be held as was her request.